Click on image to get the full size view. 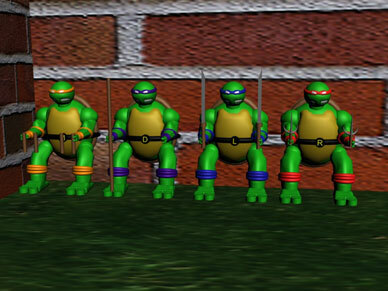 Not as cool as the original turtles but I tackled a much higher challenge than what we were supposed for this project. The project was to model a toy. You must have an account in order to comment. You may choose to log in here rather than going to the login page.